Who faces hell during the match? 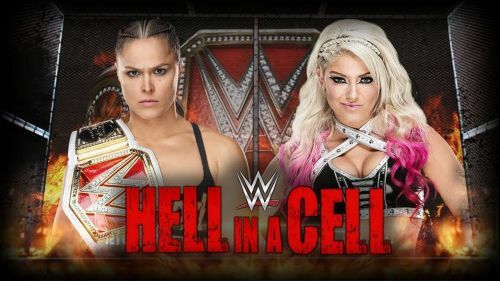 Ronda Rousey and Alexa Bliss were confirmed to fight each other at WWE Hell in a Cell in a singles match for the WWE Raw Women's Championship after the former champion Alexa invoked her rematch clause. This feud is hyped by Ms. 'Five Feet of Fury,' and her amazing promos are making this match worthwhile. 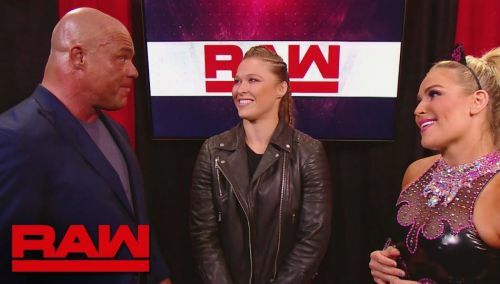 During the 'Go Home' show of Raw before WWE Hell in a Cell, Ronda cut a promo with two lines while Alexa has been the flag bearer to this feud since its get-go. The feud is definitely in a position where new feuds could start, and amazing storylines could come to fruition. With such a stacked match that has former WWE Divas Champions at ringside, it makes sense if we see some interferences during the match. Will the Black Heart come out? Natalya is known as the 'Queen of Black Hearts,' and in an attempt to become more relevant on the roster, Natalya must turn on her best friend. Natalya is a former women's champion, and she has been good in the ring, while her mic skills aren't that great. She did play a heel on Smackdown Live, but it didn't garner a lot of heat from the fans. If she turns heel and attacks her friend Ronda Rousey, she may start a great storyline and also make Ronda relevant. This act of turning on her friend would set the tone for a match between these two wrestlers at WWE Evolution because of all the names in this list only Ronda doesn't have a challenger for the first women's only pay-per-view. Would you like to see Ronda apply an armbar on her friend at WWE Evolution and retain her Raw Women's championship as well?